At the beginning of this year, I made a resolution to start clearing out my clutter and start being more intentional with my belongings. 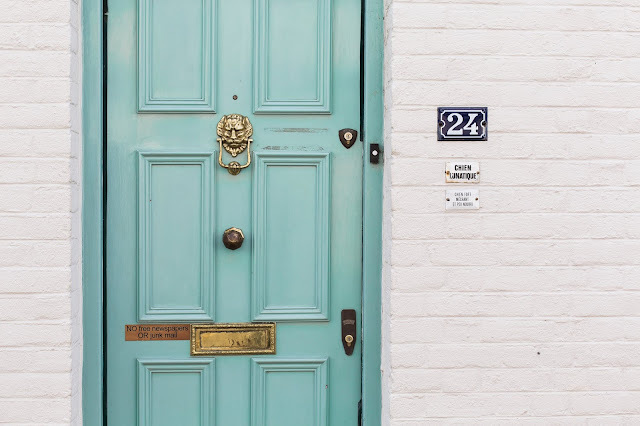 Like all of the other millions of people that have read The Life-Changing Magic of Tidying Up, I've jumped headfirst into the idea of practicing minimalism. Since reading the book, I've done a ton of research, subscribed to a ton of YouTube channels, and even done some research on zero-wasting. Though it seems like mostly a trend right now, the idea of minimalism is a pretty good one. I'm all about clearing up my physical space in order to clear up mental space. Anything that promises to make me more productive and less wasteful is a win in my book. Though I generally followed the KonMari method, it's been taking me quite a while to see significant progress. I have gone through my items multiple times asking myself if they "spark joy," but I've still had trouble throwing away things like unused notebooks and scarves I rarely wear. Select the main items you would never want to part with. Put those aside first. Take them out of your room if you have to, as to not have them "inspire" you to keep more things. Once your absolute favorites are out of sight, you can be a lot more objective with the rest. This is likely your nice watch, a few handbags, your favorite jeans, special occasion dresses, and certain accessories that you always wear. Think signature pieces. If it wouldn't be a staple in your life, don't put it in your "must haves" pile. Taking this step of separation helped me so much when it came to parting with clothes. 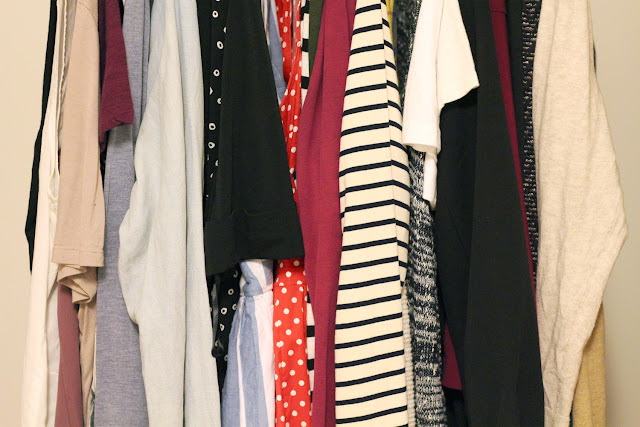 I gathered my absolute favorites, then took the rest of my items out of my closet and put them in storage. I plan to keep them there for three months. If I don't go looking for them during that time, I will donate the entirety of my clothes in storage. My idea may be against the KonMari Method, but it's really been working for me. Getting dressed is so much easier now, as I can see everything I have. I made sure to keep items that are mainly neutral, so many of them can be paired in different ways to create a number of cute outfits. 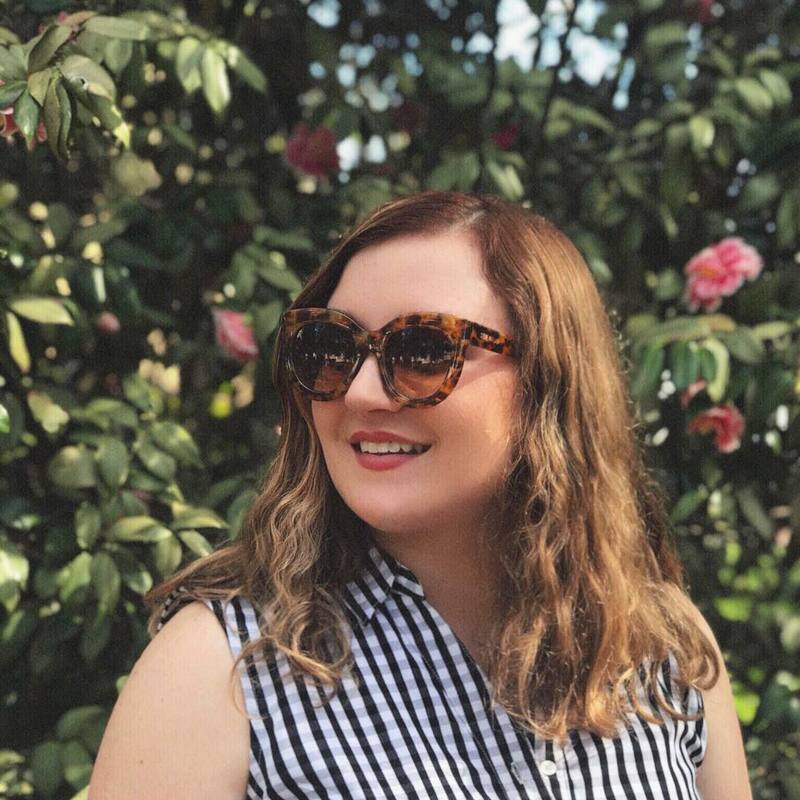 To me, clothes were probably the easiest part of the clear out, as I can often be an outfit repeater, and I don't have much problem picking out the things I love vs. the things I don't really need. My biggest problem has been with the miscelaneous stuff - as that seems to be what piles up without my control. I can't tell you how many random lotions I have, why I have so many packs of post-it-notes, or how many of my books I'm actually planning to read. Craft supplies are hard to throw away because they have so much potential, so I'll definitely do my best to donate those to someone who will actually use them. Half of my shoes are for more special occasions than my daily routine, but they're practical, and I never ever throw away a pen, pencil, or sharpie unless they break or the ink runs out. Not all of these things "spark joy" for me, especially things like my bank statements, laundry basket, and the textbooks Amazon wouldn't buy back. I wish KonMari-ing my life meant I could do without the daily stressors of school and work emails, but instead it's making it easier to focus on what I should be doing, rather than the random junk I've been saving for no reason. This includes my digital life as well. I used Unroll.me to unsubscribe from a ton of junk emails (life saver) and have been unfollowing Twitter accounts and Facebook pages that don't work to promote positive messages. I think it's appropriate to call minimilism a way of "editing your life" so the things we want to do - and actually have to accomplish - are higher up on the priority list, and therefore become easier to manage in the long run. What are you trying to accomplish lately? Love, love, love this post! I really need to do this to my closet and life. I love having tons of options, but now I have so many options (clothes) that I'm overwhelmed and end up just wearing the same stuff. Thanks for the inspiration! I've JUST purchased The Life-Changing Magic of Tidying Up - I've been dying to read it & finally got it! Seeing this post only confirmed I made the right choice - thanks for sharing & your closet looks great! Love this post! Well I have cleaned out my closet day before yesterday and successfully parted with 1/4 of my clothes! I must say your post informative and inspiring. I need to check out that unroll me site... and I did the Kon Mari method too (well I started it) but not I need to figure out what to do with all my clothes since I am too lazy to sell it all! Good for you! I did this about a year ago and started blogging about the process, and it's really been one of the best decisions I ever made! I agree with you that it IS trendy right now, but I'm actually pretty happy about that! I think it's great when something that is genuinely good for you is trendy because it inspires more people to do it! 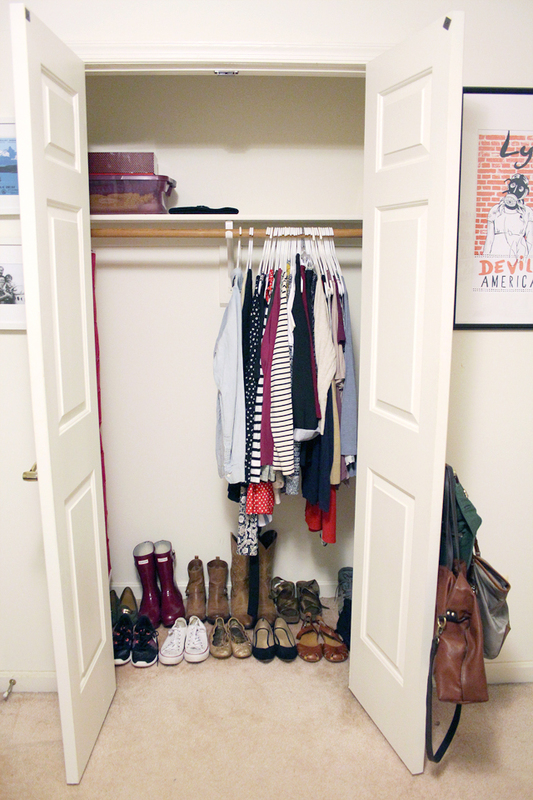 I might have to try this with my closet! I know of the konmari method..I really enjoyed your spin on it. I've heard so many people say that their lives were litterally changed by that book! LOVE! What a great read! I finished reading this book a month ago and got rid of 9 garbage bags of clothing and misc. junk! I am definitely going to try adapting some of your techniques. I definitely went through my clothes again and again and think I could even go through them one more time. I like the idea of pulling out what you know you want to keep before getting started. Definitely going to give this a try! Wow, love this post! I'm currently reading her book! I don't know if I could part with my clothing like you have. Kudos to you! But I have definitely implemented her practices in other areas of my home. Good for you! I think this is a great idea! Every few months I go through my wardrobe and end up sending things to charity, but there's still plenty that I don't wear. I really do need to read this book! Oh and that Unroll.me website has just saved my life!